The Chase Slate® credit card is a low-penalty card that is great for those looking to pay down debt or find low introductory rates. Users receive a 0% intro APR on balance transfers and purchases for 15 months, with no penalty APR for missed payments. For anyone looking to transfer a large amount to a Chase Slate® card, it's best to take advantage of the 0% balance transfer fee in the first 60 days. After that, the fee jumps to either 5% of the transfer amount or $5, whichever is greater. If you're working with a foreign transaction, that fee is 3%. In fact, if balance transfers are high on your credit card priority list, you're in luck: Chase Slate® has been consistently regarded as one of the best cards for balance transfers on the market. The card might seem a little bare bones because it doesn't offer rewards points. So if rewards and cash back are what you're looking for, it's better to look elsewhere. But for getting back on track with debt, this is one of the top options out there. After you transfer your debt, you'll have more than a year to pay it down before the APR changes. The 0% APR lasts for a generous 15 months, and after that the ongoing variable APR ranges from 17.24% - 25.99% Variable. The Chase Slate® card also comes with access to free FICO® score updates, per your consent. That's another incentive to keep your credit healthy and pay down your debt. 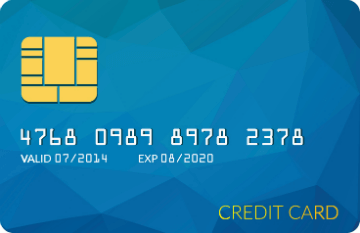 One obstacle you might run into is that you need very good credit to be accepted for this card. If you're interested in this card because you're carrying other debts that you hope to transfer over, you might run into issues with your credit. But overall, this is a no-frills choice for paying down debt. With the 0% intro APR, initial 0% balance transfer fee and consistent access to your FICO® score, the Chase Slate® card can help you reach your debt-free dreams. Cash Advance Fee: Either $10 or 5%. , whichever is greater.